A pretty smile isn’t only about the lipstick. I used to use an electric toothbrush since I was a teenager. But for some strange reason, I stopped a couple of years ago only to say to myself every morning that I should buy a new one. I was asked to test cariPRO Ultrasonic toothbrush by SmileBriliant, which was gifted to me by the brand. Since I was having short term memory and only remembered I need one when brushing my teeth, I thought I should give it a go. In those two years when I wasn’t using an electric toothbrush, I had to see a hygienist more often than ever in my life to have my teeth cleaned and plaque removed. I’ve used it now for two weeks, so I can’t tell you if it will save me from visits to the dentist, but I can share my thoughts on its performance. 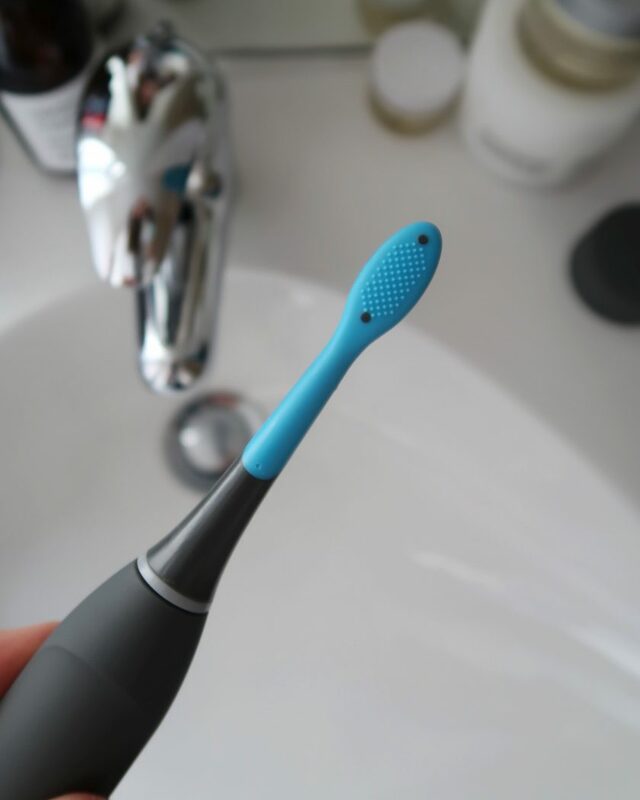 The toothbrush has five cleaning modes, comes with two brush heads and a charging base. When your teeth feel ten times ceanser! 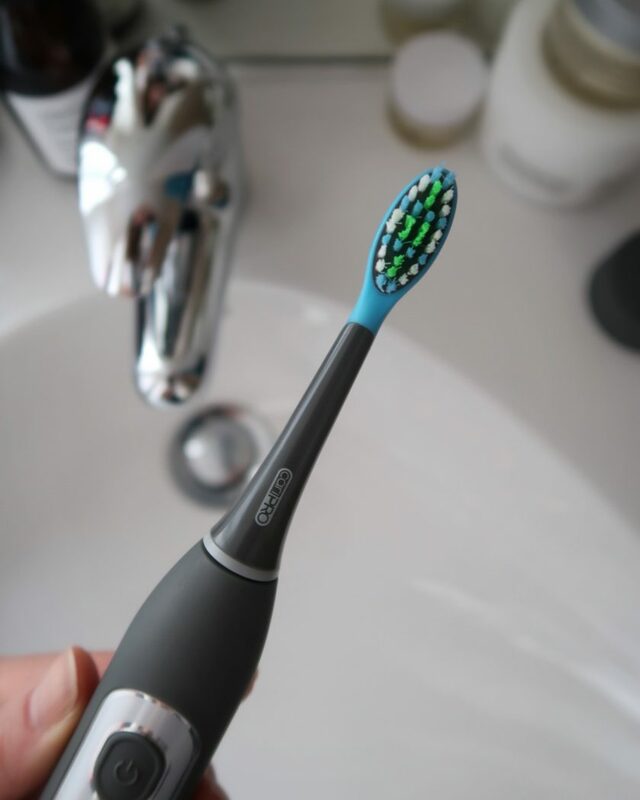 If you never used an electric toothbrush you’d find your teeth will feel ten times cleaner than when you use a traditional toothbrush. 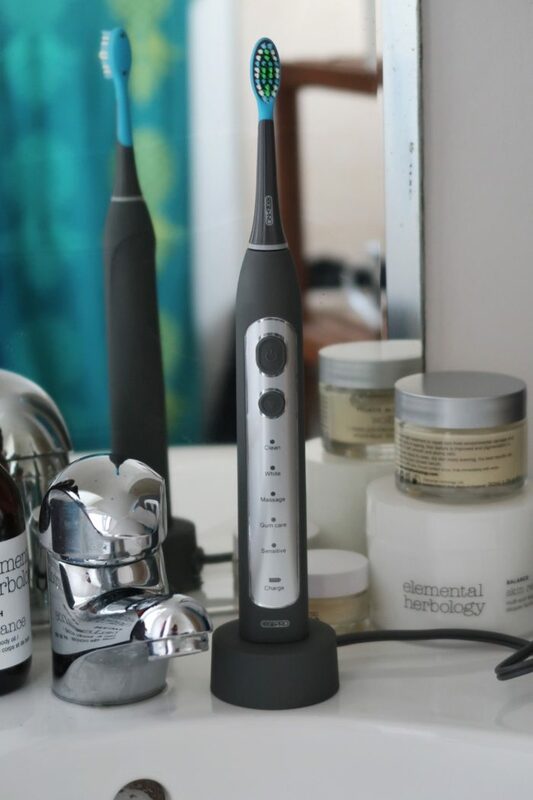 I was brushing my teeth for longer when I used cariPRO Ultrasonic because cariPRO Ultrasonic has a two-minute timer, the recommended time to clean. The timer beeps every 30 seconds to let you know to move to the other section of you mouth. Perfect if you’re OCD and need to make sure all sections or your teeth are cleaned for precisely the same amount of time. But seriously, it’s a good thing. There are five different settings. Initially, when I first received the toothbrush and started using it I thought that having five settings is a little overkill and unnecessary. Here is what I thought when I started using it. A generous stream of the vibrations so will leave your teeth feeling as clean as I would expect from the electric toothbrush. One that makes you feel like you’ve done an excellent job so you’ll never in your life ever have to go to the dentist. Now, you’d like this if you drink coffee or wine. I’m guilty when it comes to coffee! This mode is my favourite of them all. This is the most vigorous clean to remove surface stains. It gives you the sensation of deep cleaning. I love this mode the most. 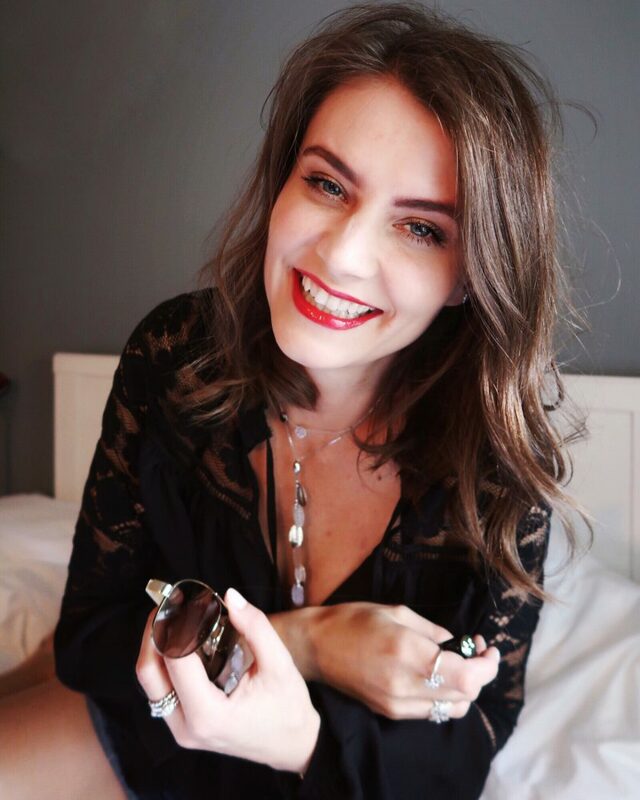 If you like to wear bright lipsticks or reds keeping your teeth white helps to make your smile look brighter as some lipstick shades can enhance the yellow tons of the teeth. Now, that’s where it’s starting to be interesting. I felt like this was a mode added just for the sake of it. 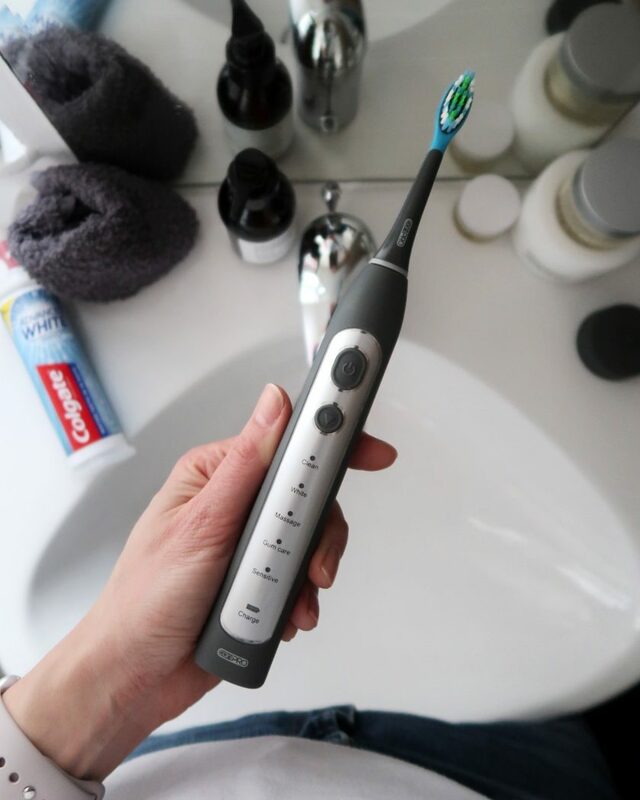 Let’s have five modes it’ll fit on the toothbrush. I didn’t feel my teeth were clean or that my gums felt any better than before so I found myself again switching to a CLEAN or WHITE mode. Then I read the instructions lol. So the mode was developed to massage the gums only, and you should use it in conjunction with another cleaning mode. Now, that makes sense. This is a similar scenario. Another mode which is developed to be used with another cleaning setting. This is too gentle for me, it felt pointless. I don’t really know if there is a need for two gentle modes like this, but that’s because I don’t suffer with over sensitive gums. I like my teeth too feel extra clean and I like when I feel the toothbrush is bloody working hard to do that. This mode was also too delicate for my liking, however, I can imagine that if you’re someone with extremely sensitive teeth or gums, you might enjoy it. Upon checking the instruction, this is precisely what this mode was developed for. This setting doesn’t feel as fancy and all over the place like the message but is simply less intense compared to the Clean mode or the White mode. Before I started testing cariPRO Ultrasonic, I was using a medium hardness brush and was killing my gums with it. Literally. So when I switched the heads that come with you, cariPRO Ultrasonic felt soft. 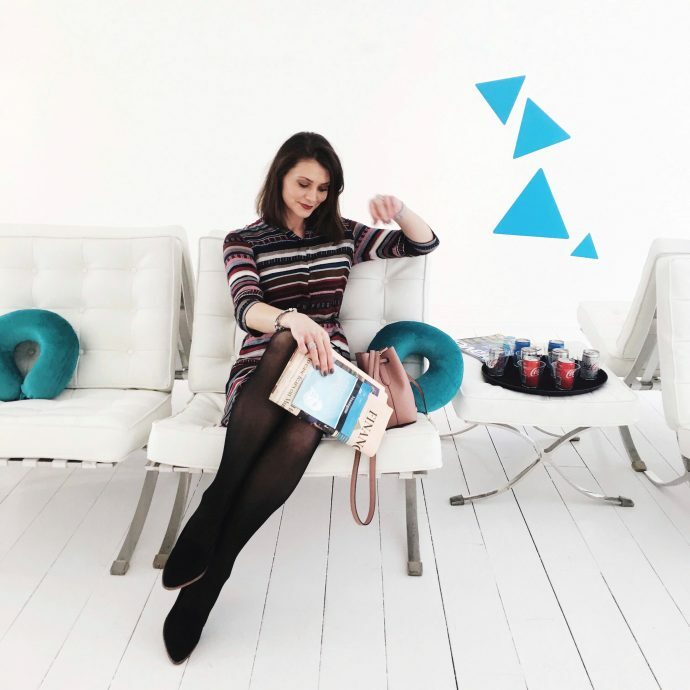 I had to get used to them a little because initially, it felt to me like they can’t possibly clean thoroughly, but I also thought that they are better for my gums. It took a couple of days, and I started wondering how bad my old, much harder toothbrush was for my gums. You can buy the replacement brush heads here. Now, I find myself using my cariPRO Ultrasonic only on the Clean or the White mode. Oh, and the toothbrush arrived fully charged and I haven’t had to charge it yet. I’m impressed. It says that after it is fully charged it will last for approximately 30 compleat brush cycles. I will use it going forward, I really don’t know why I was procrastinating so much and haven’t replaced my old electric toothbrush sooner. Using one makes such a big difference to how clean my teeth feel. The good news is SmileBriliant is running a giveaway on their website. You can enter it here. The giveaway is open to USA, UK, Australia, and Canadian residents. DISCOUNT CODE if you want one NOW! 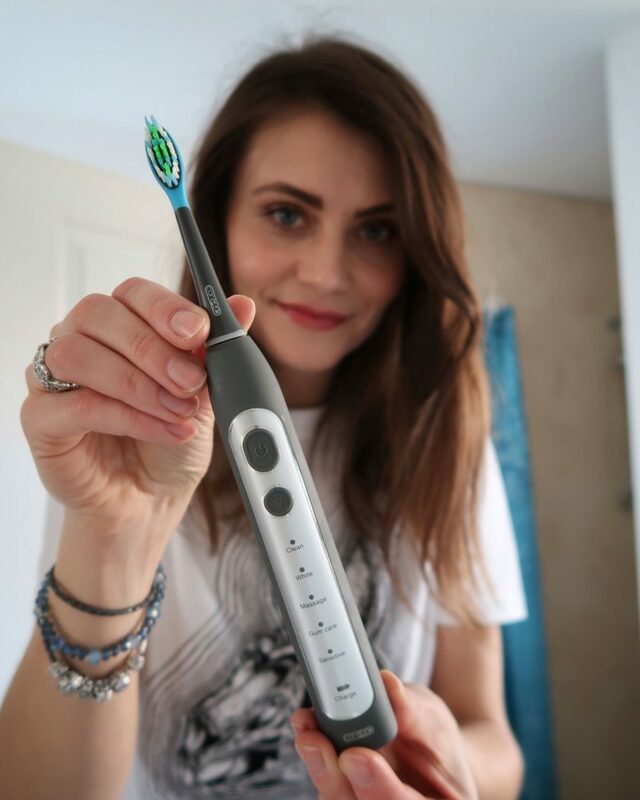 However, if you want to get your hands on the toothbrush not and you don’t want to put it into fate then I have a discount code, which I received as a thank you for reviewing the product. 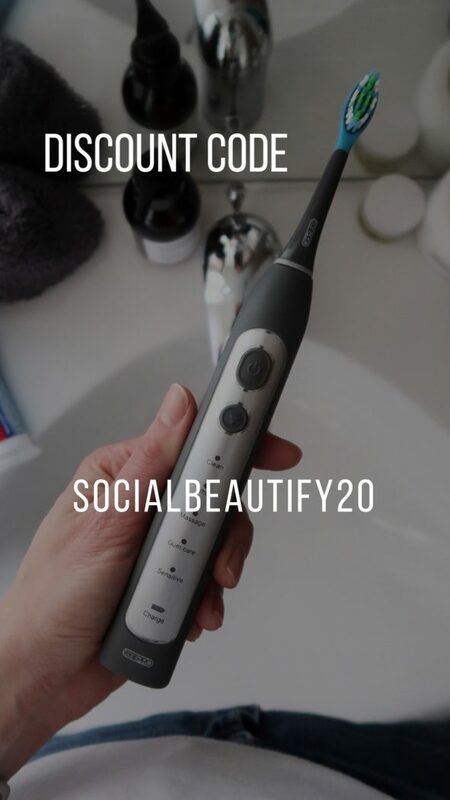 Simply use socialbeautify20 at the checkout to receive a 20% discount. I will keep using my cariPRO Ultrasonic. My teeth and gums are feeling better for it. If you someone who never in your life tried an electric toothbrush you absolutely should. It changes everything. I can’t believe I was without it for such a long time. I have been gifted the product for a review, nevertheless, I always say as it is. If you’re regular on here you’d know. Blog contains affliate links.